Social Security has released the final 2016 numbers on the Disability Insurance Trust Fund. The Trust Fund is a separate account in the United States Treasury. A fixed proportion of the taxes received under the Federal Insurance Contributions Act (FICA) and the Self-Employment Contributions Act are deposited into the fund to the extent that such taxes are not needed immediately to pay expenses. Taxes are deposited in the fund on every business day. The trust fund provides automatic spending authority to pay monthly benefits to disabled-worker beneficiaries and their spouses and children. With such spending authority, the Social Security Administration does not need to periodically request money from the Congress to pay benefits. Funds not withdrawn for current expenses are invested in interest-bearing Federal securities, as required by law; the interest earned is also deposited in the trust fund. The Trust Fund balance had been declining over the last few years until there was a temporary reallocation of FICA revenues at the beginning of 2016. Filling Ms. Colvin’s position will be Nancy Berryhill, the current Deputy Commissioner for Operations, based on SSA’s succession plan. Ms. Berryhill has worked for SSA for over 40 years in various technical and management positions, including serving as the Regional Commissioner of the Chicago region. The final numbers for those receiving disability benefits in calendar year 2016 are in. By the end of 2016, there were 1.13% fewer people receiving Social Security disability benefits compared to the end of 2015. That is a difference of 100,694 people. This decrease is happening at a time when the aging of the “baby boomer” generation should still be causing increasing numbers of people receiving disability benefits. There are three main reasons this is happening. 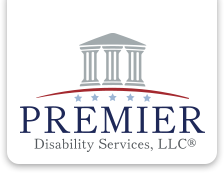 First, it is more difficult to get approved for disability benefits. Second, it is taking longer to get approved. And finally, because it is harder to get approved and because it takes longer, many people are discouraged from filing claims in the first place. If you or someone you know is unable to work due to their medical conditions, please contact us for a free case evaluation. For more disabled worker statistics, see https://www.ssa.gov/OACT/STATS/dibStat.html.